MainAll NewsInside IsraelWill Barak run for the Labor leadership? Will Barak run for the Labor leadership? 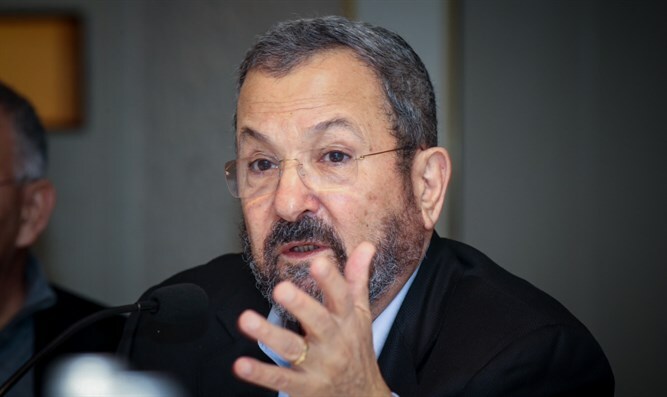 Report says Ehud Barak willing to run for Labor leader - but only if other candidates withdraw. Former Prime Minister and Defense Minister Ehud Barak is willing to run for the leadership of the Labor party – but only if other candidates withdraw from the race, Channel 2 News reported on Saturday. Last week it was reported that MK Manuel Trajtenberg (Zionist Union) had taken upon himself an initiative to convince candidates for the Labor leadership to withdraw and back Barak. According to Saturday’s report, Trajtenberg approached some of the candidates after receiving Barak's approval to do so. However, reported Channel 2, the move has failed thus far because the candidates who were approached refused to withdraw and back Barak. Barak left Labor in 2011 in order to form the Independence party. The move came at a time when many Labor MKs wanted him to leave Prime Minister Binyamin Netanyahu’s coalition. Barak, wishing to remain in his role as Defense Minister, split the Labor party instead, taking his supporters with him to his new party. Since leaving politics, Barak has been critical of Netanyahu and has attacked him at every possible opportunity. In one incident, Barak attacked Netanyahu on Twitter and called him “a deceptive and cowardly Prime Minister”, following reports that Netanyahu rejected a document about a regional peace initiative. His possible return to Labor comes despite his claiming in January that he had no intention to run for Prime Minister again, "or for the leadership of the [Labor] party."